Richard E. Beck, Jr. is currently serving his first four-year term as an Allen County Commissioner from the 3rd District. Mr. Beck succeeded Linda Bloom, who chose not to seek re-election after serving six consecutive terms as a county commissioner. Mr. Beck has been in the financial services industry for more than 40 years. He spent his first 25 years with Fort Wayne National Bank in numerous roles and the last 18 years with STAR Financial Bank as Senior Vice President in Treasury Management Sales. 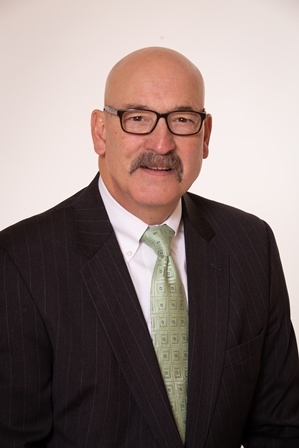 In addition to his career in banking, he has served as a senior adjunct faculty member at Concordia University of Wisconsin - Fort Wayne Campus teaching Management and Business Ethics and Marketing. He is on the Advisory Board for the School of Business at Indiana Tech and serves as an Adjunct Faculty member. He has taught for the Indiana Bankers Association, and American Bankers Association. Mr. Beck currently teaches for the North and South Dakota Schools of Banking and the Nebraska and Kansas Schools of Banking as well. His teaching expertise led him to teaching a summer session in Marketing at Concordia’s International University in Estonia. He has published articles on sales, marketing and management for trade magazines. He is the author of the recently published the 7th edition of the American Bankers Association textbook on Consumer Lending. He currently serves on the Board of Fort Wayne Construction Trades Inc, Allen County Redevelopment Commission as president, Allen County Economic Development Commission as secretary, and volunteers his time to the Allen County Sheriff Reserve. Mr. Beck holds a masters degree in Management from Indiana Wesleyan University and a bachelors degree in History/ Political Science from Ball State University.